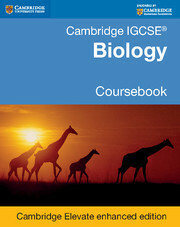 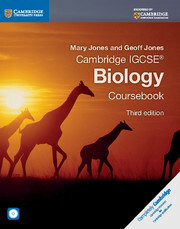 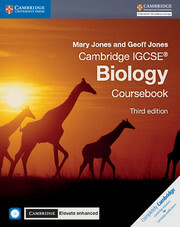 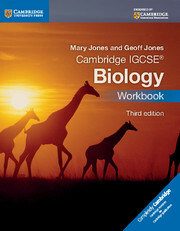 Written by an experienced teacher and examiner, Cambridge IGCSE Biology Workbook (third edition) helps students build the skills required in both their theory and practical examinations.The exercises in this write-in workbook help to consolidate understanding and get used to using knowledge in new situations, develop information handling and problem solving skills, and develop experimental skills including planning investigations and interpreting results. 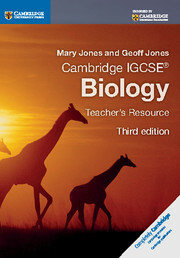 This accessible book encourages students to engage with the material. 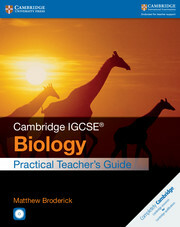 The answers to the exercises can be found on the Teacher's Resource CD-ROM. 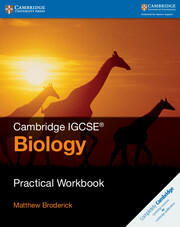 Exercises designed to help develop skill in problem solving and data handling, and many aspects of investigations. 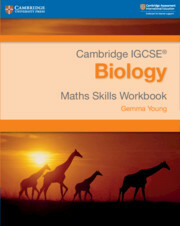 Checklists to allow students to assess their own skills, and learn to recognise when they are performing a skill competently.